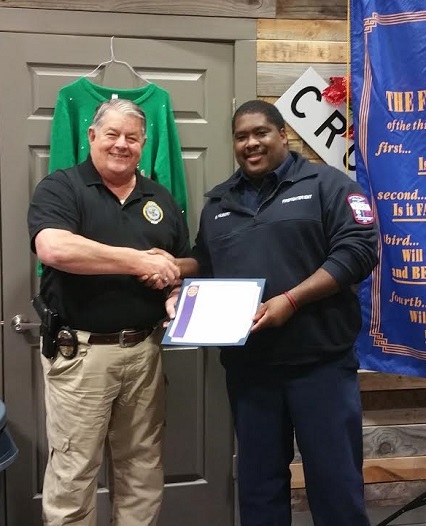 The Lake Ray Roberts Rotary Club has been honoring local First Responders in our area this year. Yesterday at our regular meeting we honored two first responders from the Oak Point Department of Public Safety. We were pleased to have as our guests, Brent Hubert and Josh Yates. 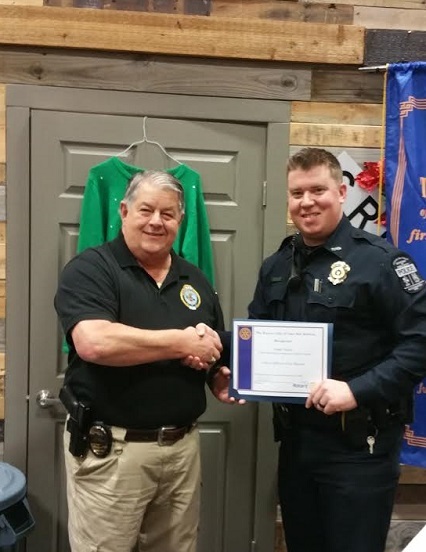 Brent Hubert is our Firefighter of the Month and Josh Yates is our Police Officer of the Month. We thank them both for their service. 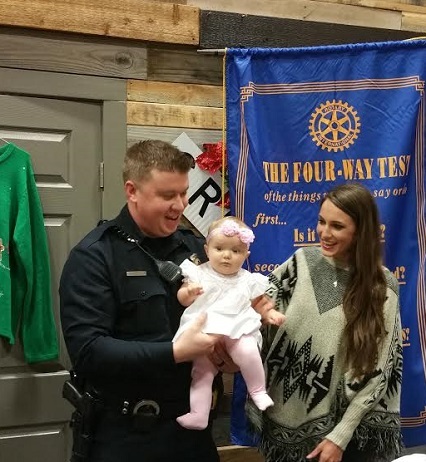 We were also delighted to have Officer Yates' wife and baby daughter with us.